Disney is renowned worldwide as the Happiest Place on Earth and for good reason. Everywhere you turn in Disneyland you see smiles and hear squeals of joy. It’s hard not to be happy at Disneyland! And, every parent knows this. It has nearly become a right of passage to take your family to Disneyland. We all want to see the magic come alive in our children. But, let me forewarn you … the learning curve for first time visitors is steep. 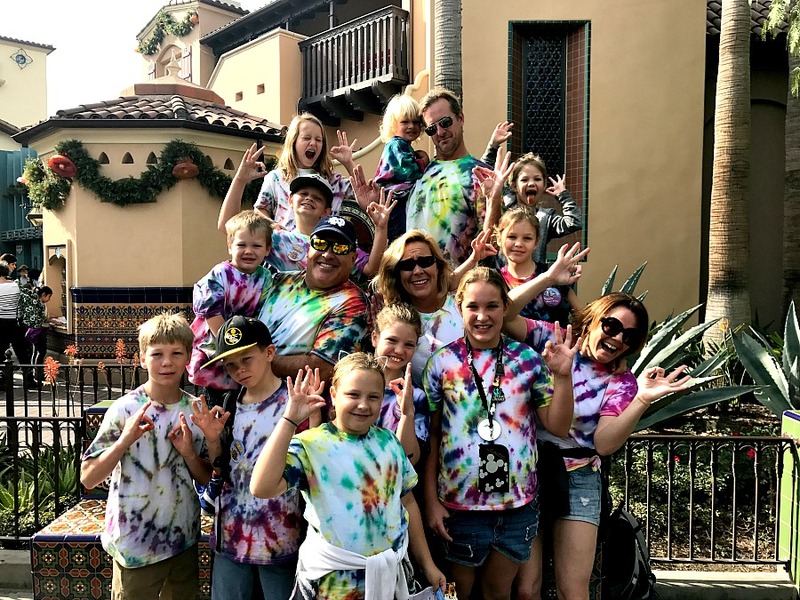 By reading the following Disneyland Tips for First Time Visitors, you will have an edge on the park that is priceless when time is of the essence. We recently visited Disneyland for the very first time a few days ago. I’m telling you, the learning curve was astronomical! I went solo, no husband or older kids to keep an eye on my 6 young kids, and I did zero research. I rely heavily on my husband, who is currently in Argentina, in situations like this, he’s a planner, I am not. Luckily, my cousin and her husband knew what they were doing and I simply followed them around ALL day. And I learned a ton. Like the necessity of the Fast Pass, a Park hopper Pass for DL and California Adventure, and more. 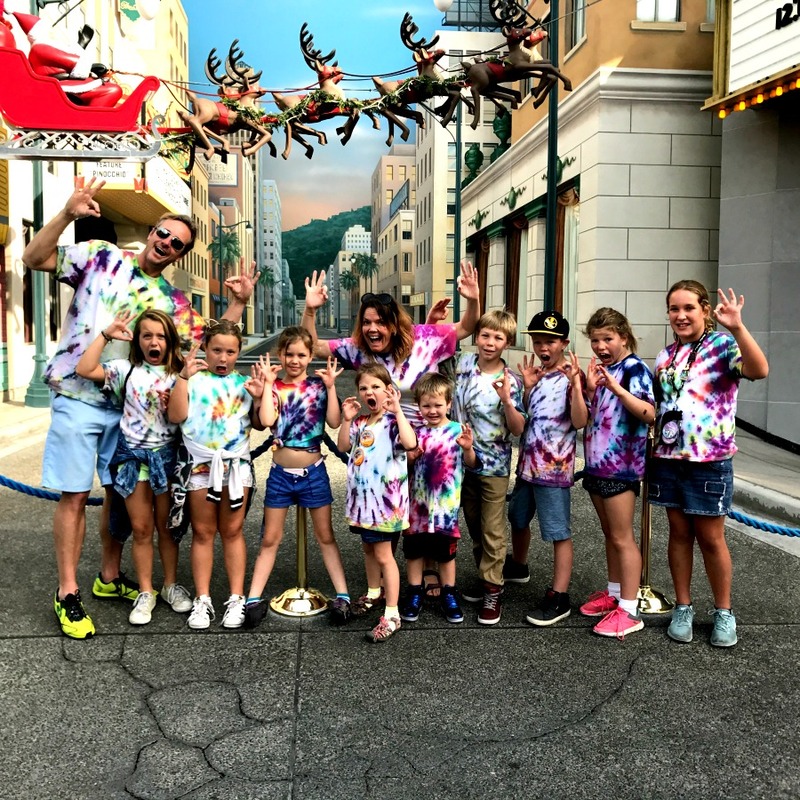 If you are planning to visit Disneyland for the very first time, read on for my Top 10 Disneyland Tips for First Time Visitors. 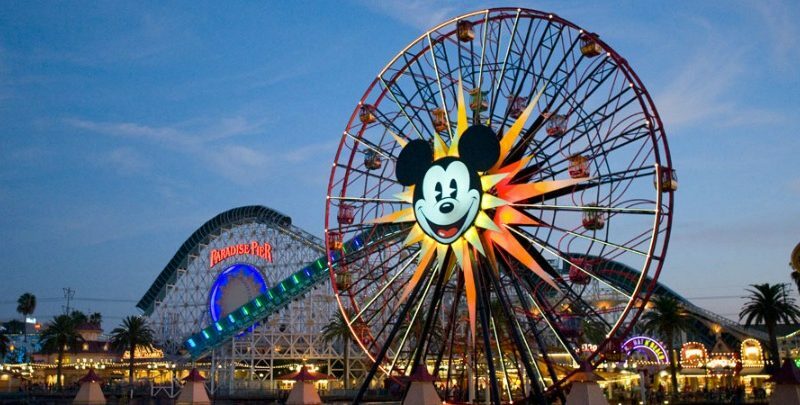 This Disneyland Tip for First Timers will save you at least one precious hour. Buying tickets in advance online enables you to go straight to the entrance without spending a whopping hour standing in line at the ticket booth! Be aware, too, that recent events have increased security everywhere and Disneyland is no different. Also, keep in mind that Disneyland offers discounted tickets for military members and their families. 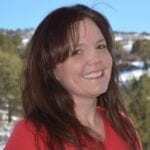 My husband is a Marine and yet, I had no clue about this budget enhancing policy! This is a Disneyland tip that is usually reserved for multi-day trips. However, I’m here to tell you we managed to visit both California Adventure and Disneyland in one day with 15 people in tow. 4 adults and a whopping 11 kids ranging in age from 3 to 14. As the day came to a close, we were herded like cattle down Main Street to the buses that lead us to our car. I thought of the hotels we had seen that were on property and how lovely those would have been. There are three if you are so inclined. Disneyland Grand Californian Hotel and Spa, Disneyland Hotel and Disney’s Paradise Pier Hotel. This is a BIG Disneyland Tip For First Time Visitors. In addition to beating the crowds at the end of the day, staying on property also gives you an extra Magic Hour in the park. Early admission, baby! My youngest is 5 and he’s a pretty avid hiker and adventurer, but Disneyland can be overwhelming in all its excitement. One of the top Disneyland tips I can think of when visiting with preschool age kids is to rent a stroller. At the very least, it gives you a place to throw all your extra clothing, bags, souvenirs and everything in between. Plus, it is surprisingly dark in the park at night, so the stroller became indispensable in helping keep my young buck close. A huge Disneyland Tip for First Time Visitors is to make use of the FastPass. Incredibly simple, even I was able to figure out the FastPass. It is one of the best ways to maximize your time at Disneyland and I think one of the most overlooked Disneyland Tips! 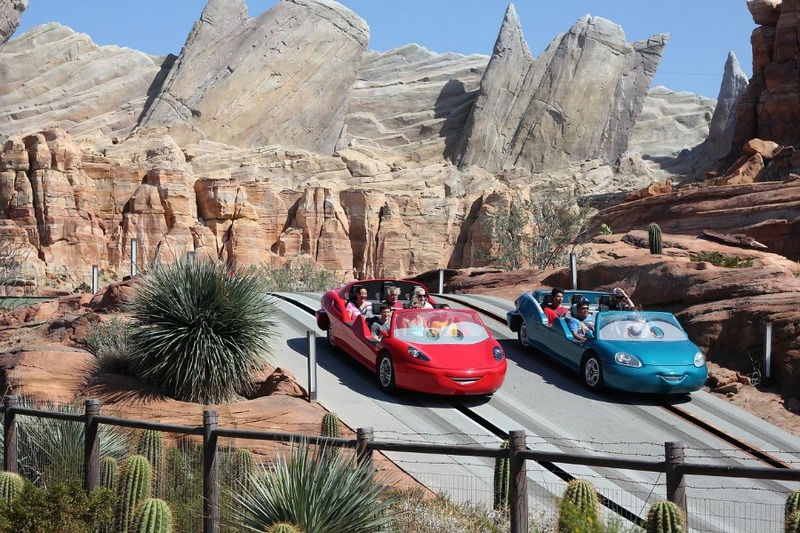 All you need do is choose one of the select FastPass attractions in both Disneyland and California Adventure. Then, insert your park ticket at the FastPass kiosk and you will get a return time to the attraction you chose. When you return to that attraction at the specified time, you literally bypass the long lines. The trick is that you may only use the FastPass during the specified time and you can only hold one FastPass at a time. This is a Disneyland Tip For First Time Visitors that I never thought of. I live in the app world, but never would I have thought of a Disney App. But, in all honesty, the Disneyland App became indispensable as the day wore on and the crowds increased. It was simple to pull up the app and check wait times for the different attractions we were considering. And for first-timers visitors, there is a map, which I found more helpful than anything! You can also use the app to decide which attractions to choose a FastPass for. It’s advisable to only use FastPasses for rides with a 30-minute wait or more! I admit this is not my forte. However, my cousin is Type A+ and she had a perfectly executed plan. We chose the attractions with the longest waits and no access to FastPass early in the morning and late in the evening. There are a few rides and attractions that should be at the top of any first-timers list. The Pirates of the Caribbean is a staple Disney attraction as are the many fantasyland rides based on the classic Disney movies. My 5-year-old loved the Jungle Cruise as he literally thought some of the animals were real. I hear Indiana Jones is amazing, but is was closed down for repairs when we got there. And of course The Matterhorn, Space Mountain and Big Thunder Mountain are all epic. My brilliant cousin’s idea was for all of us to tye dye T-Shirts. This Disneyland Tip is two-fold. One, everyone seen in matching shirts are obviously a group and therefore are appropriately seated together. Second, we were easily visible throughout the day…priceless in a park as crowded as Disneyland. One huge Disneyland Tip For First Time Visitors, that, again, I knew nothing about was not to shop until after the park closes! It makes sense because the shops are all open a full hour after the park actually closes. So to maximize your time in the park, ride all the rides, see all the shows, and play on all the attractions first. Then, save shopping for after the park closes. I knew none of this. And my cousin, my guide, my Disneyland lifeline did not have Princesses on her must-do list as her daughter is 10 and is not into Princesses. My 6 & 8 year old daughters, however, were jonesin to see some Jasmine and Tianna and some Snow White. Major mom fail because I did not read this blog, or any of the hundreds of thousands of Disneyland character meet and greet blogs before going. As a big Disneyland Tip for First Time Visitors, I’d say, read all the blogs! This is one Disneyland Tip that isn’t strictly for Disneyland. Prior to entering the park, I had the discussion about what to do if, God forbid, we got separated. I told them no way in the world would I let this happen, but if hell froze over and they got separated from me, they would have a plan in place. Everywhere we go! You see, one of my littles has to use the restroom constantly because she’s literally the best hydrated person I know. She drinks more water than I do, and that’s quite a feat. The upside in the real world is she’s healthy as an ox. The downside at Disneyland is that bathrooms seem to be few and far between. So, being proactive and making sure everyone gets the opportunity to go each and every time one in your group has to go, ends up saving some precious time in the long run. As established above, I’m a huge fan of water, but not water fountains so much. It is a top money saving DisneyLand Tip to bring in your own water and healthy snacks. We brought our GeigerRigs into the park and packed them with water and sweatshirts and then stuffed them all into the rented strollers! Plus, by bringing in your own food, you can eat on the move and save valuable Disneyland time! Veggies, Fruits, Sandwiches, Wraps … all easily eaten on the move! And, healthy to boot! This is a tip I had never heard of before or read about since. If you find a broken balloon on the ground before the fastidious cast members clean it up, you can take it into any gift shop and they will give you a new one. Hi there do you know how much it costs to rent a stroller? Lots of really great information until the part about the balloon. If you did not purchase a balloon and just pick up someone’s trash to exchange for a new balloon, that is stealing. You are taking something that you didn’t pay for. Not a lesson I would want to teach my kids. 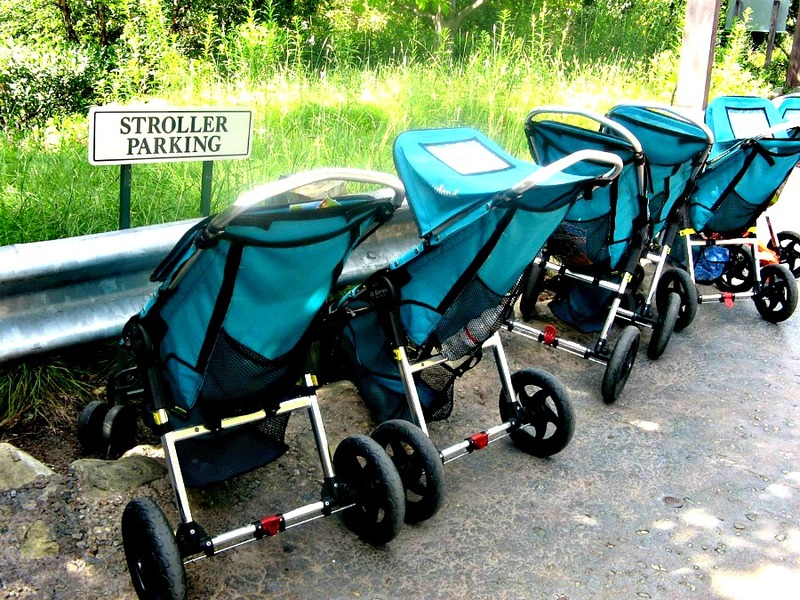 Can you take in your own strollers?